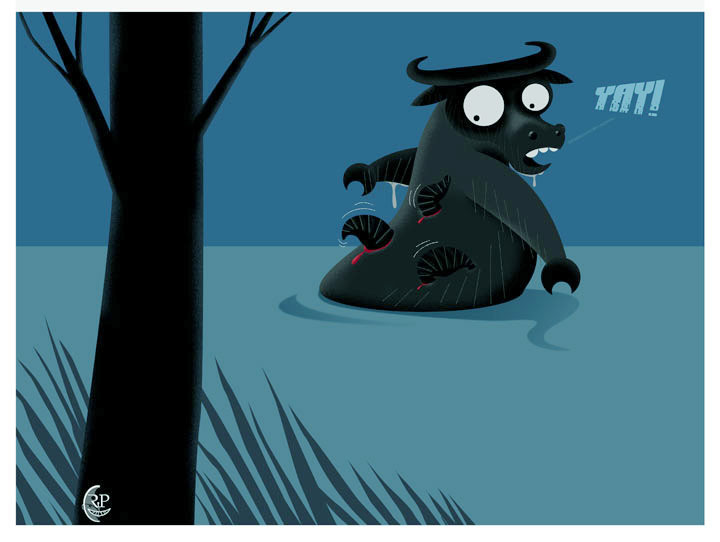 the swamp water was cool, and the carabao discovered something afterwards.. This is great, I love your style! hahahaaa….hilarisch!!! what a great humor!! Oh no! I love the expression – brilliant. Great expression and character! and great leaches!!! Now carabao just let thoses beesties drink there fill then they will drop off. Ewwwww…leeches. Love this illo and your style tho! I have a problem with the overall premise of your article but I still think its really informative. I really like your other posts. Keep up the great work. If you can add more video and pictures can be much better. Because they help much clear understanding. 🙂 thanks Mcneeley.